See below for the solution as I see it (monster spoiler warning). …but which turn out to be true just like everyone said. The most important part of learning how to write a story is learning how to re-write. Most of re-writing is taking stuff out. The hardest part of taking stuff out is taking out the bits which are good in and of themselves, maybe amazing, but not essential to your story. Until you can “kill your darlings” (Ernest Hemingway), the context of those ‘good bits’ will tell anyone who reads them that you don’t know how to write a story. Tip: when I find a good bit I suspect doesn’t belong, I ‘temporarily’ cut and paste it into a file that stores such gems for another day. If my story can’t get by without it, it goes back in. If my story does just fine without it, I soon forget it was ever there. About one in ten such gems goes back where it came from, but three or four will wind up somewhere better. …and make their dillemas something everyone can relate to. It’s a simple fact that nine out of ten stories require a hero that the reader would like to hang with. However, it is the curse of writers that we are often social misfits. Even when everyone likes us, we tend to feel like outsiders and we make the beginner’s mistake of creating protagonists that are alienated in their lives and angry at the world to the point of alienating the audience. Human beings feel a universal need to belong, and it’s a need they all relate to. A hero who doesn’t care for the world from start to finish is dull because it’s hard to care about him. However, a hero who wants to belong but can’t (duty, persecution, danger, a million other things) has a nice little conflict going. Besides, if you hate the world and want to vent your spleen in your writing, I say “Great!”. ALL passion is good. Just put it in the villain, they’re usually more interesting anyhow. Writers tend to be more fond of their villains and rogues than their heroes. The best villains get the most love from readers, too. 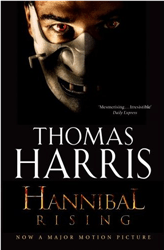 It wasn’t agent Sterling that made the top thriller series of the last twenty years, it was Hannibal the Cannibal. Bingo. It says the same thing, only better. It uses less words, and no adverbs. That’s good re-writing, and that’s how to write a story. Always work at what you’re bad at, but put what you’re good at up front. Repetition is not, I repeat ‘not’, a bad thing. Repeating words or phrases when you didn’t realise you were doing it is usually a bad thing. Falling in love with a word and overusing it, that’s a really bad thing. When you use it by design, repetition can build emphasis and rhythm. The bigger the twist, the more the audience must feel that it should have seen it coming. You need to foreshadow such major developments, plant the seeds of them in the minds of your audience. You don’t need to provide clues, not literally. You just need the reader or viewer to feel that this twist was, on reflection, pretty inevitable. The way to get good at this is to re-read and re-watch stories whose twists you’ve loved. Then you take notes about what little touches throughout the story prepared you for feeling that the twist was inevitable when it finally came. You’ll be amazed how little may be required, and just how far a little planning can go. 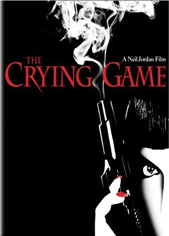 Take The Crying Game. Cliches are tempting because they’re so suitable. But you need to get rid of them. Present your own metaphors. Metaphors are the music of prose and you don’t want your story dancing to anyone else’s tune. Just then, instead of taking the easy cliche, I should have said ‘metaphors are the music of prose and you want an original score not a remix’. That little lot is just to get you started. It can’t be all the good advice kicking around. Why not submit your own? Maybe your English teacher said something useful that really stuck with you. Let me know. Teach ME how to write a story! Before I learned how to write a story and set about writing a novel, I wrote short stories to cut my teeth as a prose writer. I recommend all would be novelists write as many short stories as possible. Writing short stories is in and of itself a worthy goal. The skills and discipline you acquire when writing short stories will also stand you in good stead if you want to become a novelist. Economy, focus, plot development, character development, these are hard in a short story. They’re hard in a novel, too. But when you’re starting out as a writer it’s a lot easier to spot just how and why it’s hard (and what to do about it) in a short story than in a novel. I’m always on the look out for good advice. I don’t mind that I keep hearing the same thing in slightly different ways over and over. It’s the small differences that allow old ideas to present themselves in new ways. I even like to read about writing in mediums I don’t even write in, just to get better perspective on the way writing is for all of us. 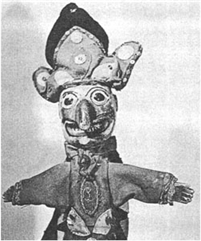 A nineteenth century treatise on fairy tales in puppet shows? A short story is, by definition, short. The best are masterpieces of economy. All stories want to start late and finish early, but in a short story it’s fatal not to. You must open as far into your story as you dare, the very last moment when someone can come in, look around, and know and care what happens. his awful crime? When the hero has the girl and the villain is under arrest, it’s time to wrap it up. Your story is done. Can you end it any sooner without causing confusion? If you can, you should. A story is a story is a story, so I’ll use examples that everyone knows. A good example of a story that starts as late as it can is The Hitchikers Guide to the Galaxy. The world of the book, or rather the universe of the five part trilogy, is complex. There are stories within stories everywhere, and many of them happened well before the first book. Yet the first book opens at just the right moment. 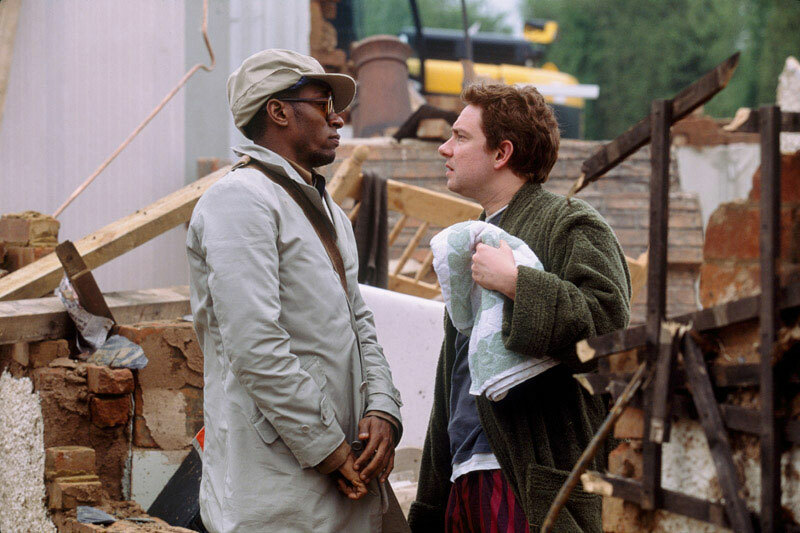 Arthur Dent is about to have his house demolished to make way for a bypass. He protests, but is persuaded to give it up as a bad job by his friend Ford Prefect who explains that the whole Earth will shortly be demolished to make way for a bypass, so they need to get out of there. Could this story have started any earlier? Not really. Arthur is our hero and until he discovers he needs to leave earth and start hitch-hiking around the galaxy, the story isn’t underway. Could it have started any later? Yes, we could have started with Arthur being beamed into the Vogon spaceship. But it wouldn’t be the best choice, because the smallness of Arthur’s life beforehand and the change it’s going through wouldn’t have been so well expressed. In moving from Arthur’s house about to be demolished to his world being demolished, the worst problems of Arthur’s old life are put into perspective by his new adventures. We also come to feel Arthur is us: an ordinary man shot into a strange universe with no idea what’s going on. If we’d missed Arthur trying to save his home, we wouldn’t have got that. If you want to learn how to write a story with a snappy ending, you could do worse than study The Monkey’s Paw by W.W Jacobs. This classic is perhaps all the more amazing because Jacobs made his name writing comic short stories about the sea and a poacher named Bob Pretty. W.W Jacobs other works (which have sadly been all but forgotten) are all structured like jokes, and therefore end on a punchline. Which is also the soonest possible moment a comic story can finish. 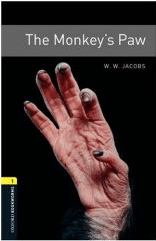 The Monkey’s Paw is not funny, in fact it’s terrifying, but Jacobs’ skill at ending on a punchline stands him in such good stead that he hit the nail right on the head with this departure from his usual form and instantly produced both one of the greatest horror stories and one of the greatest short stories of all time. In The Monkey’s Paw, bereaved parents come across a monkey’s paw that can grant three wishes. But the paw doesn’t play nice, and gives people what they wished for and not what they really wanted. Their son was mangled in a horrific accident, so naturally the couple wishes for him to be alive again. Something turns up at their door, but we get the feeling that junior doesn’t look quite the way he used to since his accident. The knocking ceased suddenly, although the echoes of it were still in the house. He heard the chair drawn back, and the door opened. A cold wind rushed up the staircase, and a long loud wail of disappointment and misery from his wife gave him the courage to run down to her side, and then to the gate beyond. The streetlamp flickering opposite shone on a quiet and deserted road. Now that’s an ending. Short, quick, final and filled with a heady mix of emotions. It’s the punchline to a cruel joke that fate played on the couple by appearing to offer them their hearts’ desire. Master the art of the late in, early out approach and you’re one step closer to knowing how to write a story. When you’re deciding how to write a story, the important first step is to create your premise. the daydreamy hypothetical that floats through the mind, opening the door to the imagination where everything and anything is possible. It’s short, it’s brief and provocative. It’s the kind of story you want to continue to watch. Again. The premise just makes you want to pick up the book and read. 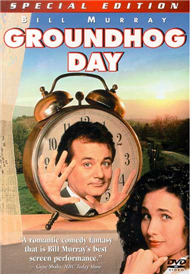 Many writers waste a lot of time trying to improve a story that’s not worth telling because their premise is flat. Many good and great writers suggest you create your premise before you write a story.